LULU TAN GAN: a black-and-white collection of knit separates, which are easy to mix and match with the rest of your wardrobe. perfect for travel because they don't wrinkle, can go from day to night with a change of accessories, are easy to layer, and are super comfortable to wear on the plane (we know—we have a gray cardigan by lulu tan gan that we love to wear on the plane. it's been everywhere and is beginning to look a little old and ratty, we realize it's time to give it up. we can shop right here...). 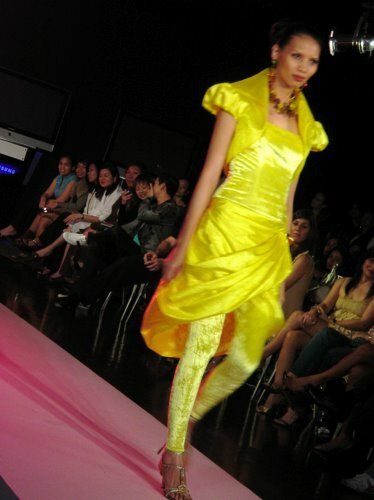 KATRINA GOULBOURN: katrina's strength is the backing of silk cocoon, the brand her mother started, known for its innovative use of philippine silk. just look at the saturated colors the fabrics can hold. there are two schools of thought here, though: some people thought that with colors as bright as these, the silhouettes and details should have been toned down and more restrained. 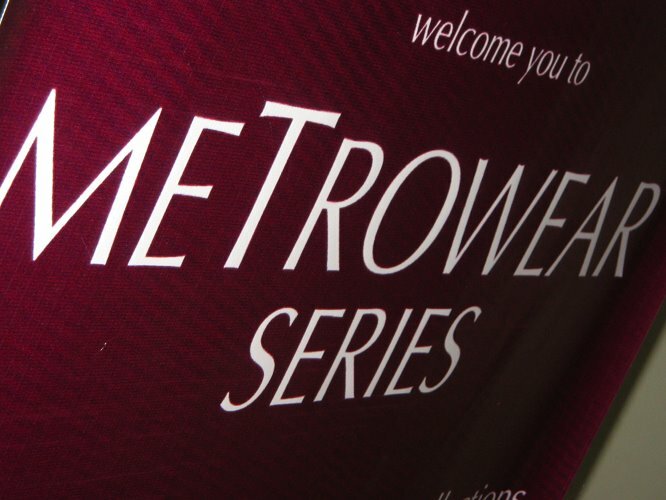 on the other hand, others thought that the gorgeous colors simply enhanced the ultra-feminine silhouettes and details. what do you think? 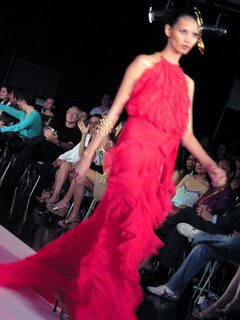 JUN ESCARIO: the highlight of jun’s collection were his gowns of jewel-toned chiffons. but what made them stand out was not the front, but the back. 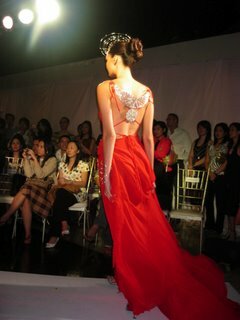 what a pleasant surprise to see bejeweled backs as the model pirouetted at the end of the runway. this way, you look good coming and going. an art deco-ish attachment in the back. a big bejeweled CD, este, disk in the back. 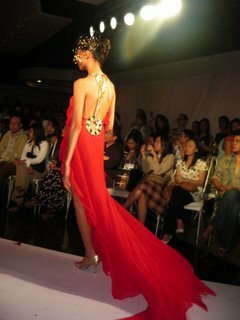 but the most applauded piece was this gown (as you can see from the people on the front row, clapping with glee…). bakit kaya?? 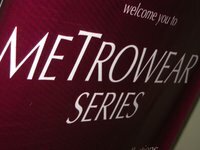 K0managed to read this blog by accident.........what is fashion journalism?if this is what we called fashion journalism then i should suggest that everyone should be a fashion journalist!it pays to have a space in the net!............. sounds like u'r not qualified to write anything about fashion.....this blog sounds like -a- high school slam book.....my niece should start her blog too...I bet it will be better than this!Huh!ah! so u'r an ex model? then maybe u should just stick to modelling huh? this is not fashion journalism. this is a blog. you're free to leave and never come back. dear fashpack, anonymous (of Saturday, October 21, 2006 10:27:31 AM) is an idiot. Please don't mind her. She hasn't been taking her brain vitamins, therefore the deficiency. Please, keep up the great work.